Hello hello. Looks like I’m late again this week. What’s new? 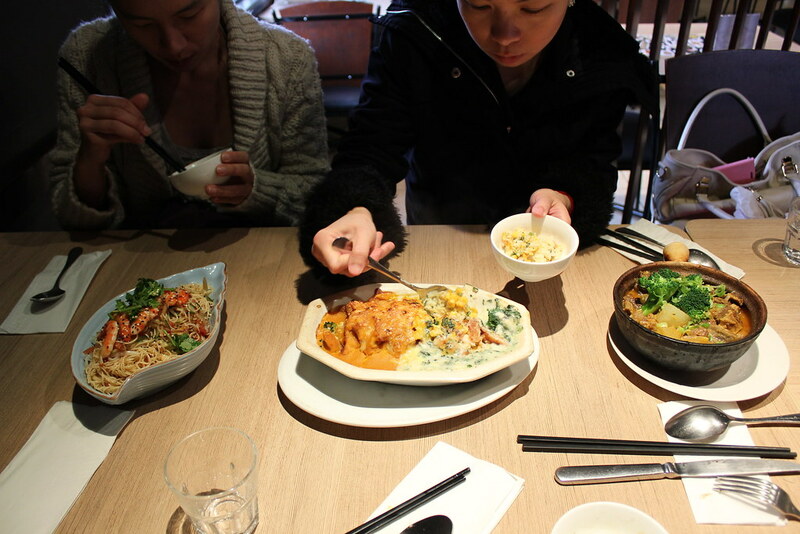 Before the semester ended, my friends and I had lunch out at a nearby restaurant. We don’t usually eat out for lunch, but then again we don’t usually have a 4 hour gap in class schedules. Ugh. On the plus side, I got to try out a new restaurant with them. 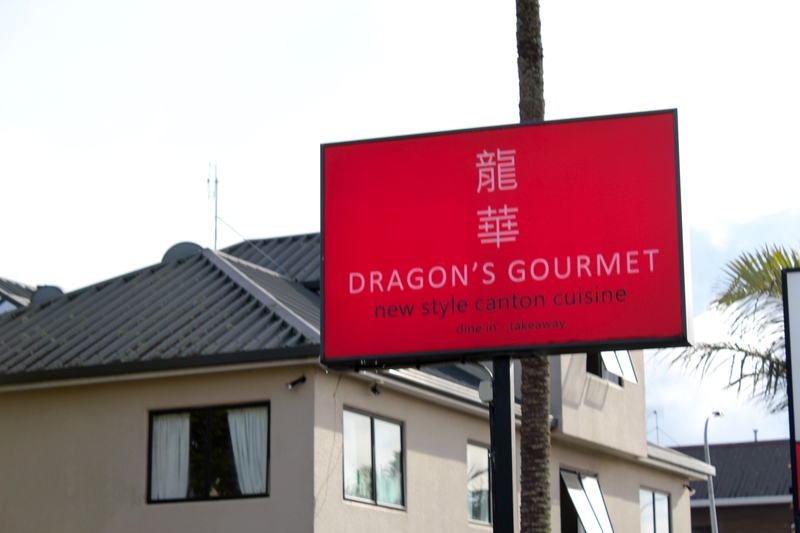 I’ve passed by Dragon’s Gourmet so many times but it’s the first time I went inside. I guess I didn’t think much of it because it was just around the neighbourhood. It was also fun because I came with my Chinese friends so we were all set. 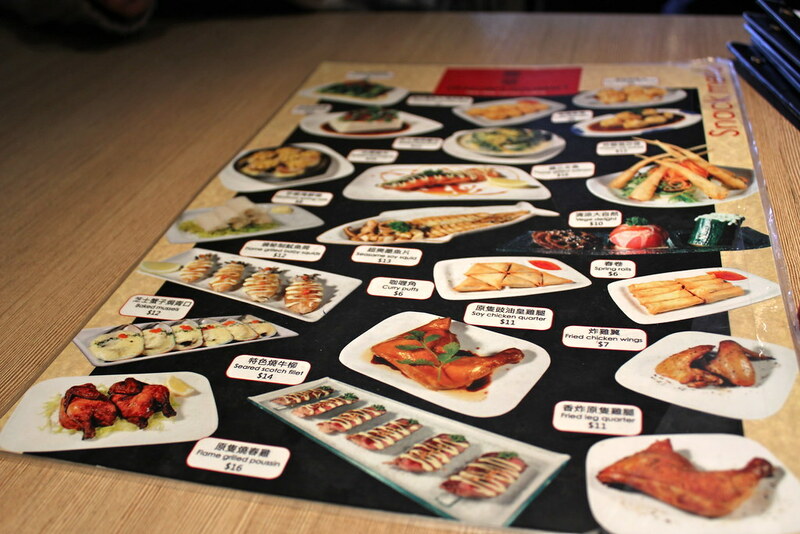 We ordered in Chinese so it was interesting, all the while my Korean friend and I were just like ‘okiedokies’…haha. I also found out that I can’t even say ‘thank you’ in Chinese properly. I’m very bad at tones. So… aside from being terrible at Chinese, I really enjoyed the food. 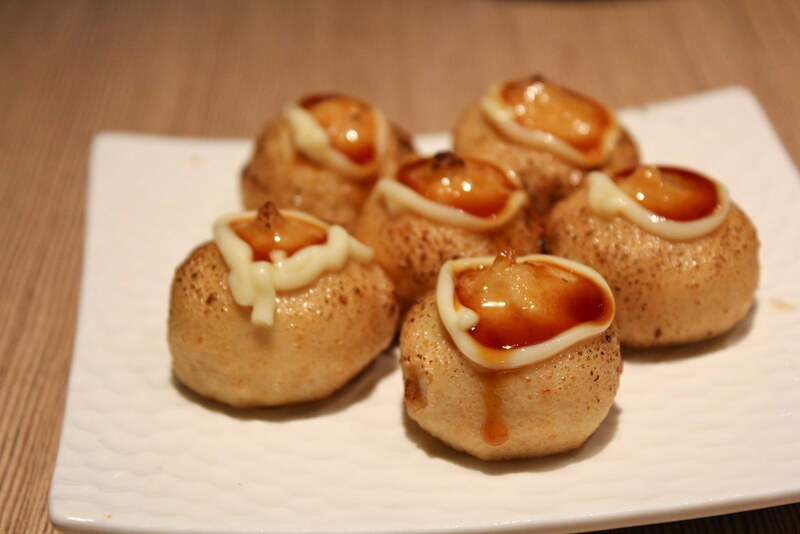 Cantonese cuisine doesn’t have so much spiciness – I think. 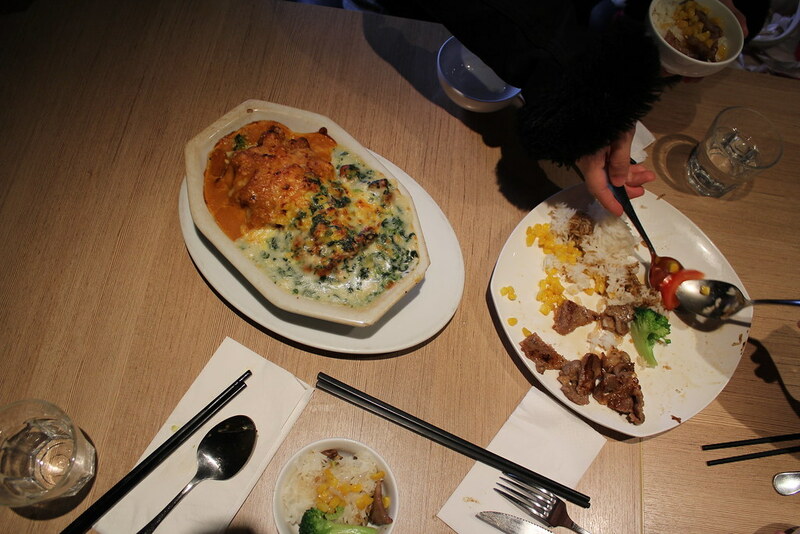 And this place is more Chinese fusion rather than traditional so there’s like spinach béchamel sauce and other stuff . 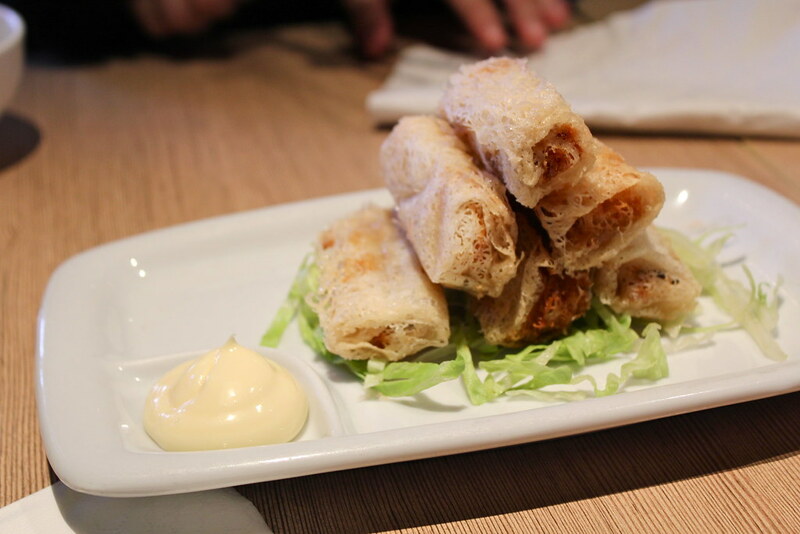 First off, seafood spring rolls. I don’t know what those wrappers are but I really like their texture. I couldn’t really discern what seafoods were in it but I liked it. Haha. Flame grilled fish balls. Fish balls are not crazy special but these ones almost made me cry. I couldn’t handle the bit of red pepper inside. Omgash. The stuffing was actually tasty without the pepper but my mouth couldn’t recover. Haha. They look delectable, don’t they? Next…we have honey pork chops. They remind of tocino from the Philippines. Tocino is cured pork that’s usually eaten for breakfast. Mmmmm. And… probably my favourite dish. No.. maybe second. 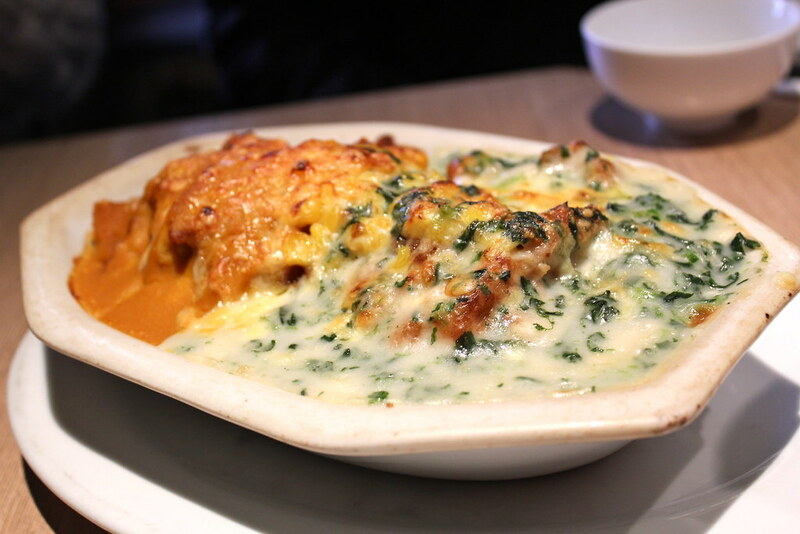 It’s baked chicken on egg fried rice topped with pumpkin sauce and spinach béchamel sauce. Nom nom nom… I don’t think it’s very Chinese aside from the egg fried rice but it is soooooo gooood. I feel so hungry just typing this. I need to learn how to cook this. Seafood angel hair pasta. This one’s quite nice too. We got it without chilli so I was a happy camper eating away. When I realised I can sort of recreate it. Weeee…I just need to tweak these noodles I made before – I think. 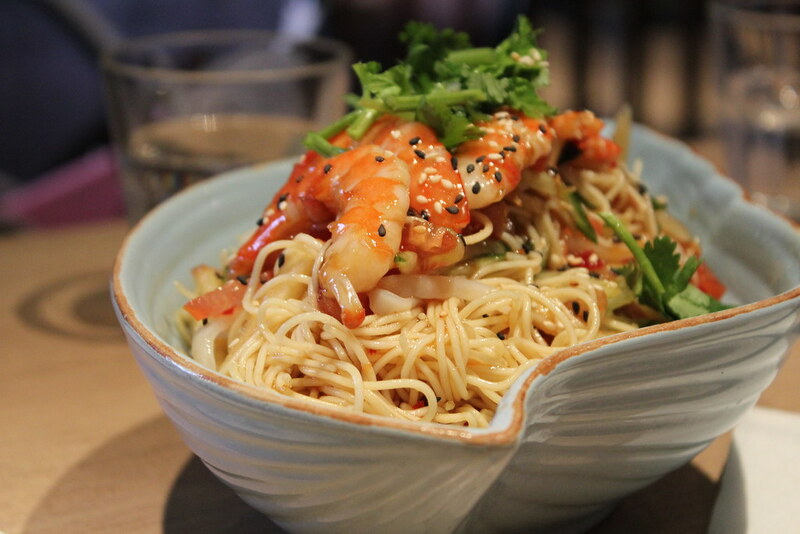 Annnnnnnnd….my favourite dish that day. 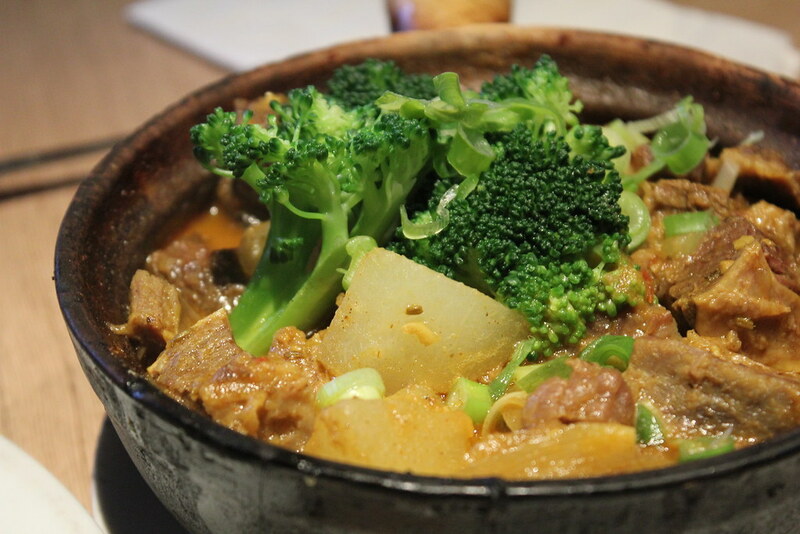 Curry beef brisket pot! I rarely eat curry so maybe I cannot be a curry critic but this was really delicious. Curry and rice happiness ~ I ate so much that day. My friends and I shared everything and we were all so stuffed haha. You’d think we wouldn’t have space for dessert. But it’s not complete without it so we ordered one dessert. 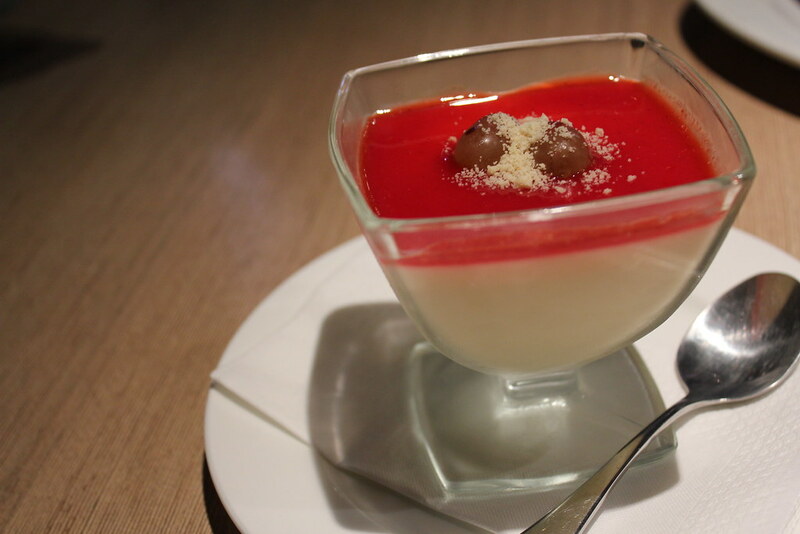 Panna cotta with berry coulis. I had a teaspoon of it. I was too full to appreciate it honestly. Haha. So that was food with friends at Dragon’s Gourmet. Sorry for the late posts haha. See ya next time when I don’t post so late. I took my mum to Dragon’s Gourmet a few years ago and she let me pick the weirdest dishes on the menu. We tried the deep fried quail which was amazing, though a bit expensive. But it’s a treat. Not every day that you get teeny tiny KFC…We also ate whelks which were a mission to eat. You get a corkscrew tool to pry out the snail-like creatures from their shells. Next time I think I will bring more people so I can try more dishes! 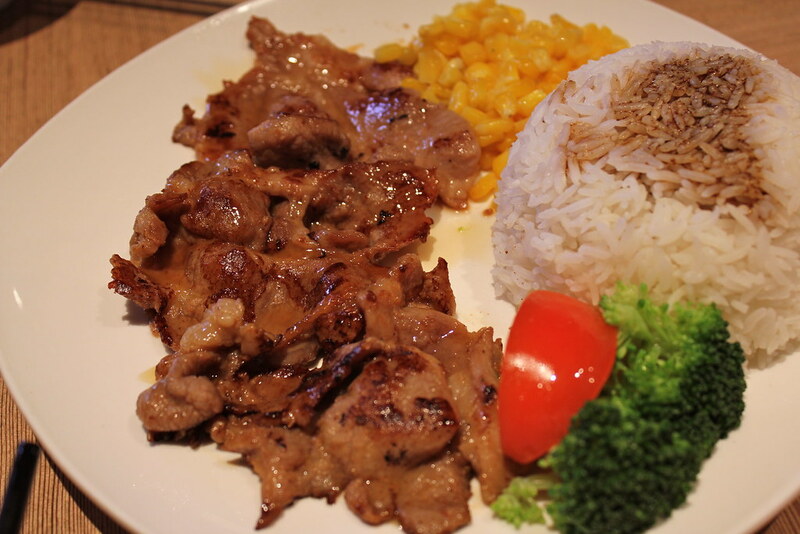 It’s cool to know that I ate Hong Kong style western food. nomsss so yum. Yeah that piece of pepper was really surprising!